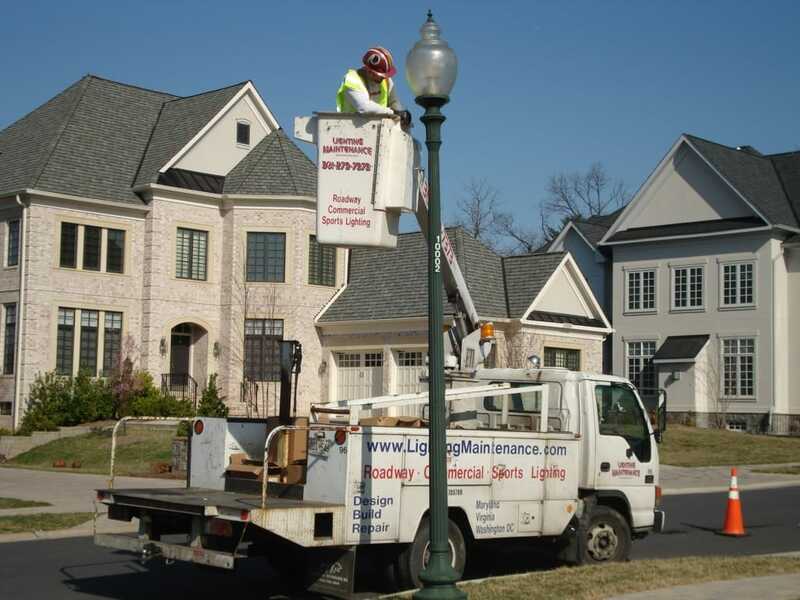 Miscellaneous Services | Lighting Maintenance Inc.
We have years of experience installing flagpoles and the associated lighting. 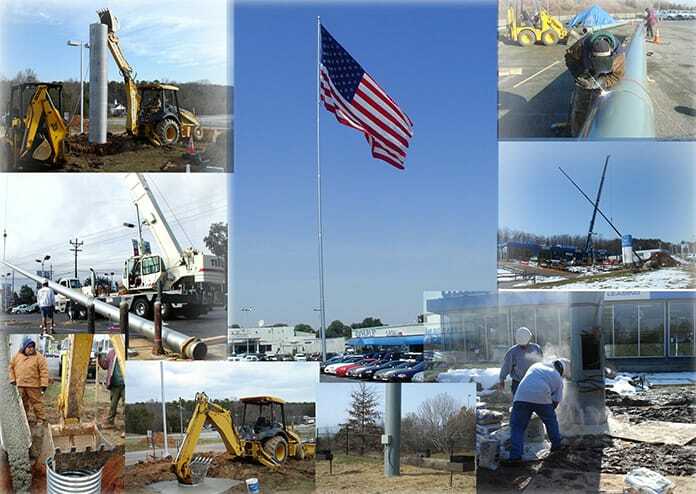 We regularly install flagpoles from 3′ temporarily mounted on street light poles to commemorate national holidays to 150’ permanent freestanding flagpoles. Contact us today for any flagpole inquiries. We repair all types of residential street lighting, from lamp and ballast replacement to underground fault location and repair. 24/7, we respond to any lighting emergency within two hours, most often within 60 minutes. Please note that emergency rates apply to all emergency calls. 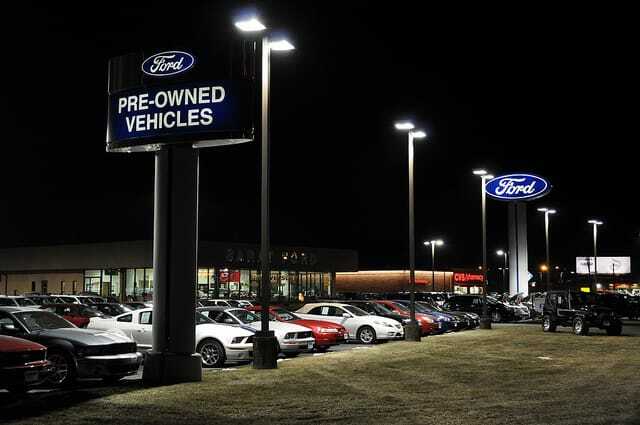 Lighting Maintenance Inc. is your go-to team for expert car dealership lighting systems design, installation and repair. Our material and labor rates are very competitive, and our 24-hour emergency system means our crews will respond day or night. Do you have a decorative light pole or streetlight missing its access cover? Are vendors lacking options for acceptable replacements? 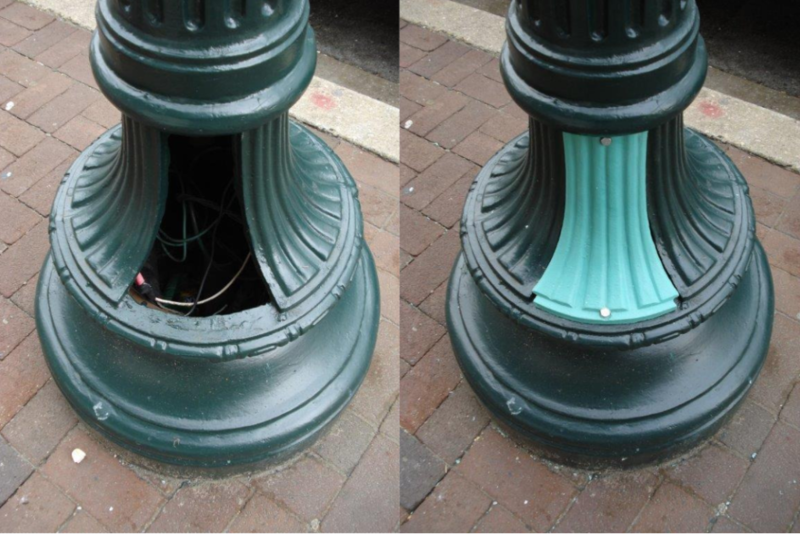 Often replacing access covers on decorative poles can be very expensive and sometimes require replacing the entire pole. Not anymore. We can produce custom-made access covers to match any design by using a custom-made mold to make a hardened, durable plastic access cover that we paint to match the decorative light pole or streetlight.